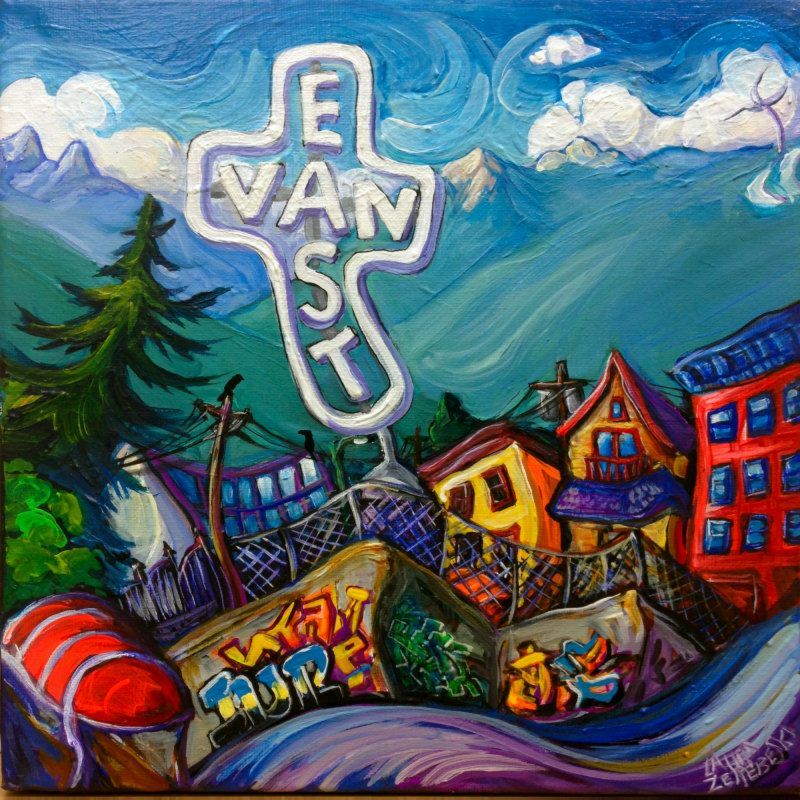 East Van has many symbols. The East Van cross is probably the most significant, but you can’t be in East Van and not think of crows, colorful buildings, flamboyant trees, and the best view of the North Shore mountains in the entire city. The tough don’t-mess-with-me side of East Van is also represented by concrete and industrial buildings plus some ominous power lines and a barricade of chain-link fencing. And, of course, graffiti, because people leave their mark on East Van as much as East Van leaves its mark on them.